This modern architectural glass block is truly amazing. We love its minimal concentric design which is very similar to the custom-made glass blocks which Pierre Chareau used for La Maison de Verre in Paris France. 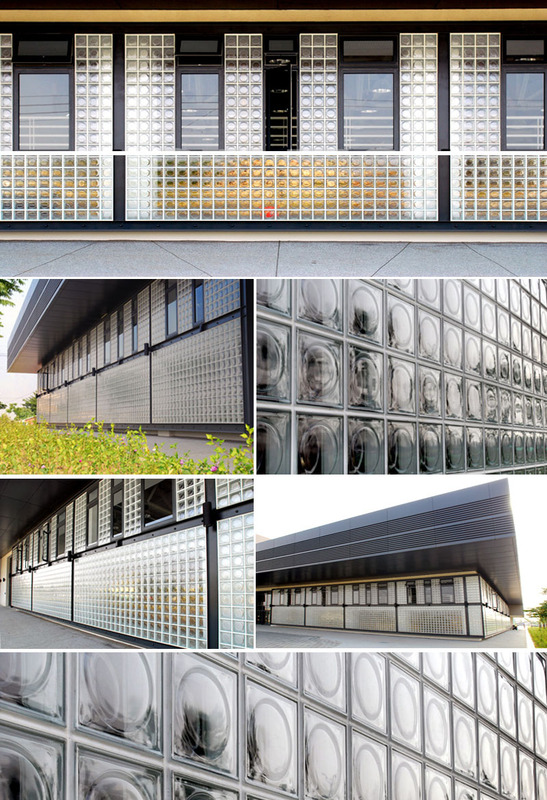 Pierre Chareau used custom made glass blocks for most of the outer walls of the famous glass house. Unfortunately, the glass blocks were never produced again although there was a lot of interest in them from architects and builders. After a very long search we finally were able to find a glass manufacturer in Europe which could make a very similar type of glass block. The glass block we are offering is made with crystal clear glass and features the same elegant circle of the Maison the Verre glass blocks. Our customers have used these glass blocks for entrances, glass walls, room dividers, shower walls, screens, etc. Each glass block weights 4.96 lbs and the dimensions are 7.48" x 7.48" x 3.15". Glass block must be installed with a minimum space of 0.4" between each tile. Make sure you can use the glass blocks for your project before you purchase them. We do not accept returns on these due to our high shipping expense. Sales are final. Buyer is responsible for compliance with local building codes. Buyer must hire a licensed contractor for installation. Pierre Chareau's Maison de Verre is one of the most celebrate icons of modern architecture. La Maison de Verre (French for House of Glass) was built between 1928 and 1932 in Paris, France. This masterpiece of modern architecture used primary industrial materials such as steel, glass, and the famous concentric glass blocks. Size: 7.48" x 7.48" x 3.15". Volume discounts available for 300 pieces & up. 1. Free UPS ground shipping, includes insurance and tracking. 2. No added sales tax.